OK. So. Kenny's an interesting character, right? Lot of love, lot of hate, lot of mullets... lot of threads. Problem is, we don't need a hundred threads dedicated to one character. Hence this one. Please keep ALL discussion of Kenny, good or bad, to this thread instead of creating your own one, because any extraneous threads will be closed. Thanks! Additional Mod Edit: As Darth mentioned below, this thread was created to allow for more discussion instead of memes (in addition to all the Kenny threads that have popped up for Season 2 speculation). To prevent this thread from becoming crowded like the first, we'd like to ask you all to follow theses rules. 2. Please keep discussion focused on speculation or character discussion, as opposed to "appreciation" posts. 3. Please follow the forum guidelines and respect other users. If the thread gets derailed, please wait for mods to handle it instead of insulting trolls back. 4. Please keep all Kenny-centric discussion here instead of making a new thread. 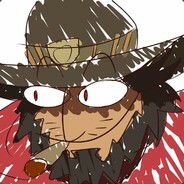 We've had several Kenny threads pop up recently, and we decided relaunching the Kenny thread would be easier since the last thread was crowded with memes. You accidentally deleted it didn't you? No, it's still around. It's just had so many people spamming it with that stupid 'Kenny Confirmed for Season 2' gif that it's a nightmare to navigate. Far easier to just start a new one. You shouldn't have mentioned that gif. Kenny should've died in the Alley. I still say he did. No idea what all the fuss is about. I would post the dreaded gif, but it is not needed. Also, we should have an official Becca discussion thread. Umm... you realize we don't even have an official discussion thread for characters of significantly more importance like Clementine or Luke. Might want to get those sorted out before one is made for Becca. I would post the dreaded gif, but it is not needed. Also, we should have an official Becca discussion thread. Ah, but if we have a Becca thread, then we'll get demands for a thread for EVERYONE. And lord knows we don't need that. I have to disagree with you...the " Kenny puts Ben out of his misery " ending wasn't satisfying at all in my eyes. Kenny didn't need to sacrifice himself to protect Ben, he could have just shot him in the first place. I know Kenny got his redemption by forgiving Ben for all the bad things he had done in the past (killing his family), but the point is, that he could just told him that he forgives him for the things he has done and that he made mistakes. The " Kenny saves Christa " ending on the other hand was very satisfying. Kenny put the life of a other person above his own life and found redemption. I could life with Kenny dieing that way, but i still think and hope that he's gonna return. Kenny is so alive, I mean he is so alive, like alive alive alive and even more alive. But seriously, he has to be alive in the "Christa" situation, we know nothing about that dark room, there could've been a door, staircase anything! The alleyway is a little more complicated, its weird. We should see a body from Christa's POV, Kenny ran to the left and should be in Christa's POV, but he isn't. There's no body and the walkers are all pointed at Benifer. I still think he's alive, and I will dance on the forum the day it's announced. I will dance just like Chandler Bing. this is for none-friends watchers. You aren't in trouble, but just to point it out, I'd again like to ask that people keep gifs to a minimum. That was a very large motivation behind us closing the old thread and starting a new one. Kenny is so alive, I mean he is so alive, like alive alive alive and even more alive. But seriously, he has to be alive in the … more"Christa" situation, we know nothing about that dark room, there could've been a door, staircase anything! The alleyway is a little more complicated, its weird. We should see a body from Christa's POV, Kenny ran to the left and should be in Christa's POV, but he isn't. There's no body and the walkers are all pointed at Benifer. I still think he's alive, and I will dance on the forum the day it's announced. I will dance just like Chandler Bing. this is for none-friends watchers. What's the 'us' nonsense? It was aaaaaaall me. It was the royal "us," kind of like the royal "we." ...Ok, so there is no royal "us." But there should be. It was the royal "us," kind of like the royal "we." ...Ok, so there is no royal "us." But there should be. I wonder... How many people would like Kenny to return as just his old self? I mean, in my eyes, that would kind of ruin the potential character development they could have had. I'd much rather have him return as a more "broken" man, a sadder and wearier character than he was in S1. This would lead to an interesting progression of his character, maybe as he gains more responsibility in the group, or now that his family, the purpose behind all of his pragmatic actions, are gone, he may strive to be a better person, and make more "moral" decisions. That would make for an interesting storyline, but if he hadn't changed at all from Season 1... I'd still want it to be him, but I think they could, and will, do a lot more with his story. Kenny shows up with a boat. Not just any boat, a pirate ship. I wonder... How many people would like Kenny to return as just his old self? I mean, in my eyes, that would kind of ruin the poten… moretial character development they could have had. I'd much rather have him return as a more "broken" man, a sadder and wearier character than he was in S1. This would lead to an interesting progression of his character, maybe as he gains more responsibility in the group, or now that his family, the purpose behind all of his pragmatic actions, are gone, he may strive to be a better person, and make more "moral" decisions. That would make for an interesting storyline, but if he hadn't changed at all from Season 1... I'd still want it to be him, but I think they could, and will, do a lot more with his story. He becomes a tank pirate. Please, no posting that gif. 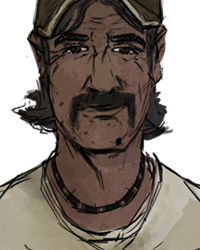 I am very convinced that Kenny is gonna be a more broken and more bitter man, then the old redneck we all used to know and love in Season1. He was on his own for a very long time and has lost all the people he cares about. This experiences change a man. The way i see the story around his character go on and develop is, that when Kenny returns and meets Clementine again Clementine will make him remember the man he once used to be and will slowly but surely make him feel happyer again. Kenny considers Clementine as part of his family and his new destiny will be to take care of her and to do anything that's needed to keep her safe! In my oppinion the most probable ITYWD person is Kenny, ven if I'm not a huge fan of him. We all know people will still post Kenny confirmed gifs the entire season, and it's gonna show up alot if he really does. Then if he doesn't, the Kenny confirmed for season 3 gifs will soon rise..
You never know. Kenny can always appear in the Season 2 DLC episode, 800 Days. Or maybe an easter egg in one of the episodes, Once the baby is born you choose it's name and if you choose to name it Kenny JR, than Kenny will come ramming through the wall in a pick up truck, pick up Ken JR, throw a salt lick at Rebecca, then drive away. 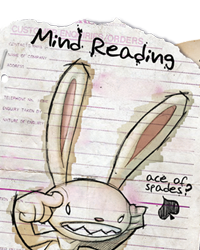 What if we called it Kenny Sr and mindfuck Kenny by making the baby tell Kenny that they are his father. 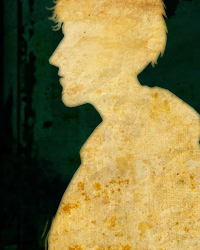 Wouldn't be a proper launch for a Kenny Discussion thread without a Kenny avatar, now would it? I don't quite see Kenny taking the role of her "protector", I think that falls on Luke. I would like to maybe see him be the leader of the group after Carlos dies, seeing as he was the leader of the old group. It'd be a nice progression regardless. I am very convinced that Kenny is gonna be a more broken and more bitter man, then the old redneck we all used to know and love in… more Season1. He was on his own for a very long time and has lost all the people he cares about. This experiences change a man. The way i see the story around his character go on and develop is, that when Kenny returns and meets Clementine again Clementine will make him remember the man he once used to be and will slowly but surely make him feel happyer again. Kenny considers Clementine as part of his family and his new destiny will be to take care of her and to do anything that's needed to keep her safe! 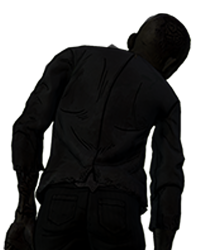 But that doesn't necessarily mean Kenny can't be a " caretaker " for Clem aswell. There might even be a big decision during a later episode where we have to decide between Luke or Kenny. Not necessarily who of them dies, but on which side we are on! Yes i agree that Luke will be Clementines " Caretaker " in Season2. (and i don't mean caretaker like the way Lee toke care of her.… more I see Luke more in the role of an older brother towards Clem, someone who cares about her and she can rely on) But that doesn't necessarily mean Kenny can't be a " caretaker " for Clem aswell. There might even be a big decision during a later episode where we have to decide between Luke or Kenny. Not necessarily who of them dies, but on which side we are on! One thing is for sure.... Tomorrow all hell will break loose. Regardless if Kenny comes back or not. Still, we can all be here and just think that we're better than those savages with their unofficial threads. Kenny might take Petes place for the " friendly uncle figure " yes. Yup, we're definitely counting on all hell breaking loose whether or not he happens to return. Either way, I'll definitely be keeping my "Crowd Control" handy. If he comes back, everyone will go nuts. If he doesn't come back, everyone will go nuts. If he comes back, everyone will go nuts. If he doesn't come back, everyone will go nuts. Still, I'm curios as to whether or not you guys get spoiled sometimes while maintaining "order" around the forums? Yup, we're definitely counting on all hell breaking loose whether or not he happens to return. 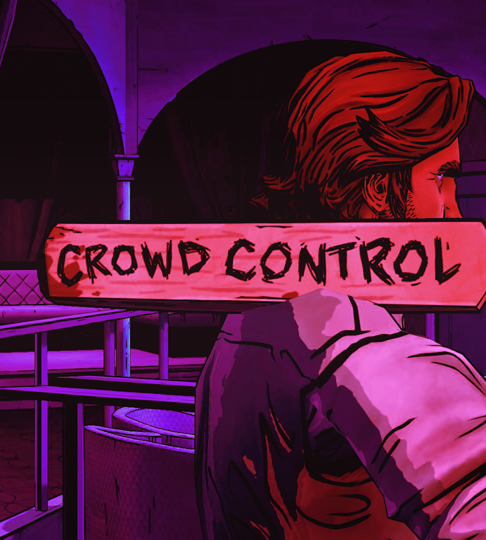 Either way, I'll definitely be keeping my "Crowd Control" handy.